Location. 42° 53.582′ N, 78° 52.308′ W. Marker is in Buffalo, New York, in Erie County. Marker is at the intersection of Main Street and East Tupper Street, on the right when traveling north on Main Street. Touch for map. 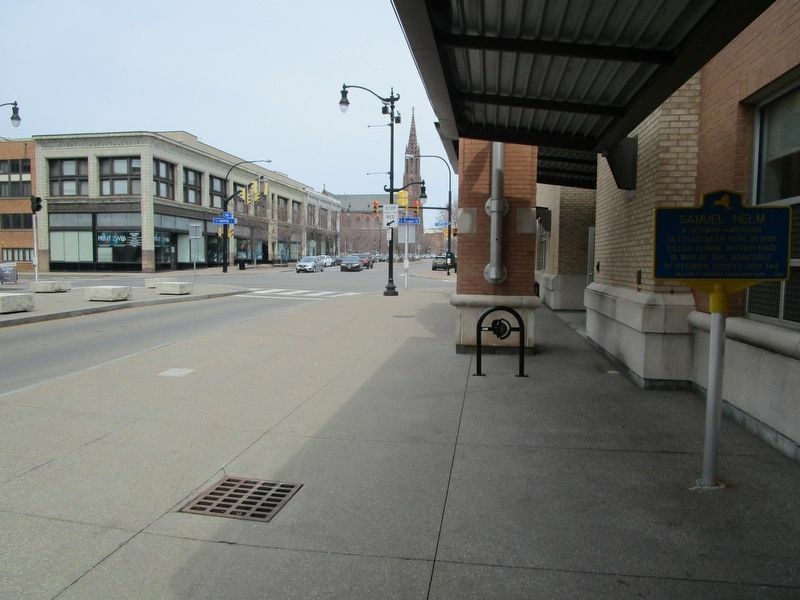 Marker is at or near this postal address: 695 Main Street, Buffalo NY 14203, United States of America. Touch for directions. William Dorsheimer House (approx. 0.3 miles away); Adam House (approx. 0.3 miles away); The Hiker (approx. 0.3 miles away). Touch for a list and map of all markers in Buffalo. 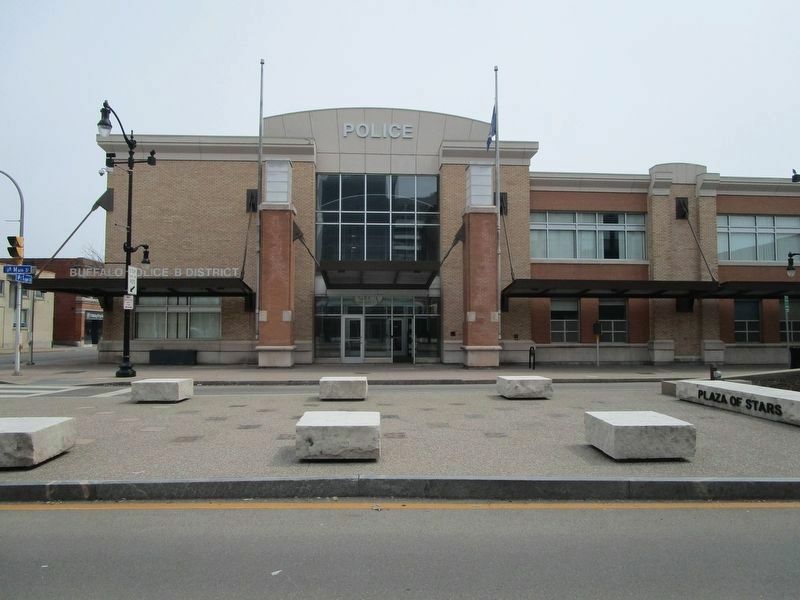 At Buffalo Police - B District, the marker is to the left of the entrance and under a metal awning. The foreground is part of the Theatre District display. This is also where the Buffalo light rail line transitions from streetcar to subway, off picture to the right. More. 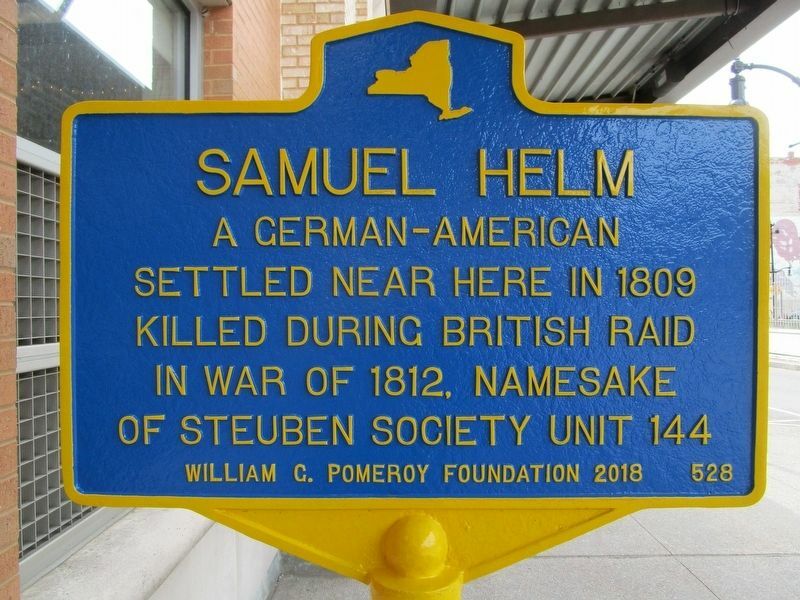 Search the internet for Samuel Helm. Credits. This page was last revised on April 7, 2019. This page originally submitted on April 7, 2019, by Anton Schwarzmueller of Wilson, New York. This page has been viewed 61 times since then. Photos: 1, 2, 3. submitted on April 7, 2019, by Anton Schwarzmueller of Wilson, New York.